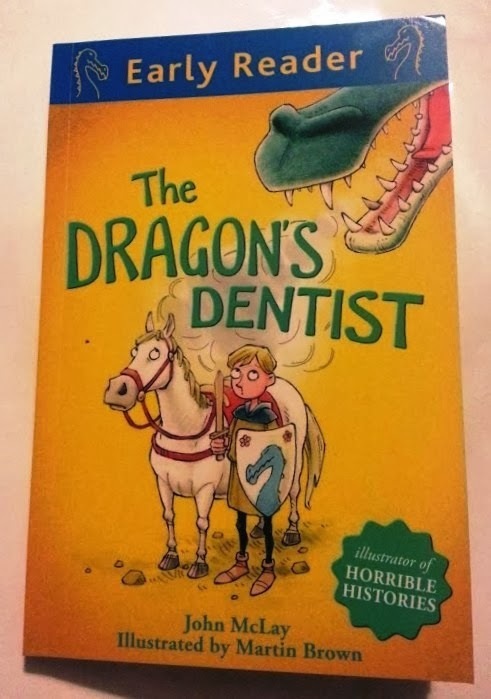 The Dragon's Dentist is an Early Reader from Orion Books. It's in the Blue Band, so it's designed for reading together with your child with lots of repetition and short sentences. 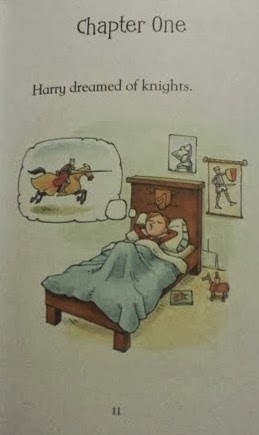 Written by John McLay, it's illustrated by Martin Brown, who also illustrates Horrible Histories books. This is a proper book with chapters and 76 full colour pages. The illustrations are great with plenty of facial expression. 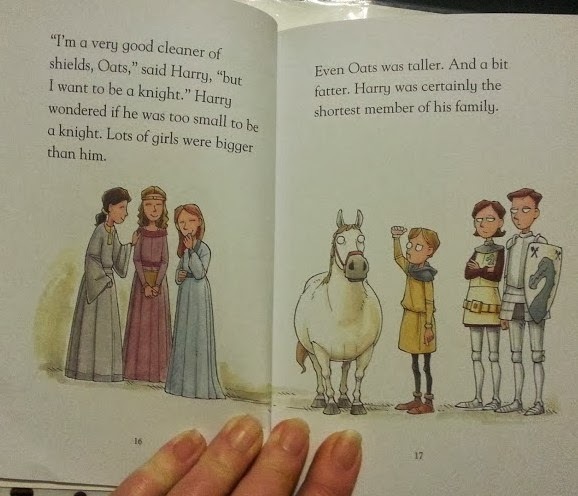 It tells the story of Harry, who is the smallest in his family and the only one who isn't a knight. He wants to be a knight and prove himself, so he sets off with his horse 'Oats' to slay a dragon. The story really appeals to youngsters because they feel they can relate to the characters. It's a great little tale and my boys really enjoyed it. My 5 year old really did 'read it with me'. 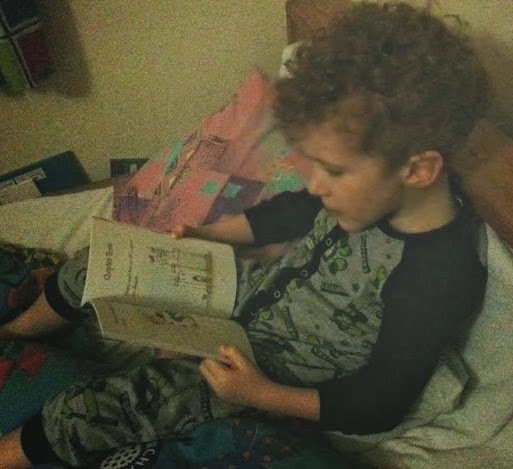 He also read it in bed to himself for a while and the next day when we read at bedtime he proudly told me all the words he'd been able to work out for himself. and has a recommended retail price of £4.99. Looks great, usual high standard from the Orion Early readers. Aw, your boy looks so cute sitting there reading! That looks like a really lovely book, the illustrations look great. We have this too - it's a great book isn't it! Sounds like the kind of book Monkey would like, he loves reading and this is the right stage for him! I love the look of the Dragons dentist. helping troubled teens. Any reputable online business puts their shopping cart on a secure server. other infections such as cold sores, shingles, and chicken pox. Canada, UK and other nations and receive the instant orders.